The charm and convenience of this updated condo is unmatched! 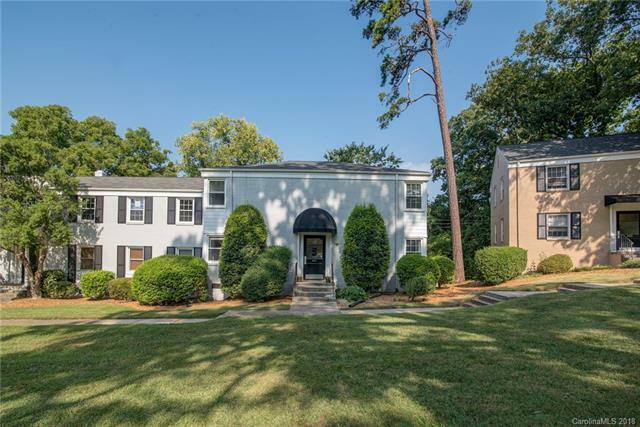 Perfectly located just 5 miles from uptown it is close to the shopping and restaurants of SouthPark and is walking distance from the hip dining and nightlife options of Montfort Drive and Park Road Shopping Center. Youll absolutely love the hardwood floors that run through this 2 bedroom 1 bathroom condo which is fully updated with tile countertops, brand new stainless steel appliances, built in entertainment nook, ceiling fans and smooth ceilings. All appliances including washer and dryer convey! These features plus the close proximity to the proposed Cross Charlotte Trail make this home superior to anything else in the area. This home wont last long!